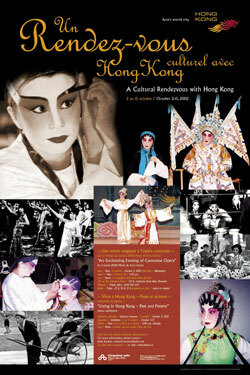 As part of the "Hong Kong in Montreal" event organized by the Hong Kong Economic and Trade Office (Canada) from October 2 to 15, 2002 to promote closer cultural ties between the two places, a CANTONESE OPERA performance will be presented at 7.30 pm on October 2, 2002 at Cinquieme Salle of Place des Arts. Forty artists the top Toronto-based troupe of the Canada (KW) Music & Arts Centre, under the direction of Mr Soong Kam-wing, will perform three plays: "The Tale of the White Dragon Gorge", "The Romance of the Goddess Yuen in the Ninth Heaven" and "The Tragedy of Princess Cheung Ping". (Photo above of Stanley Yip.) 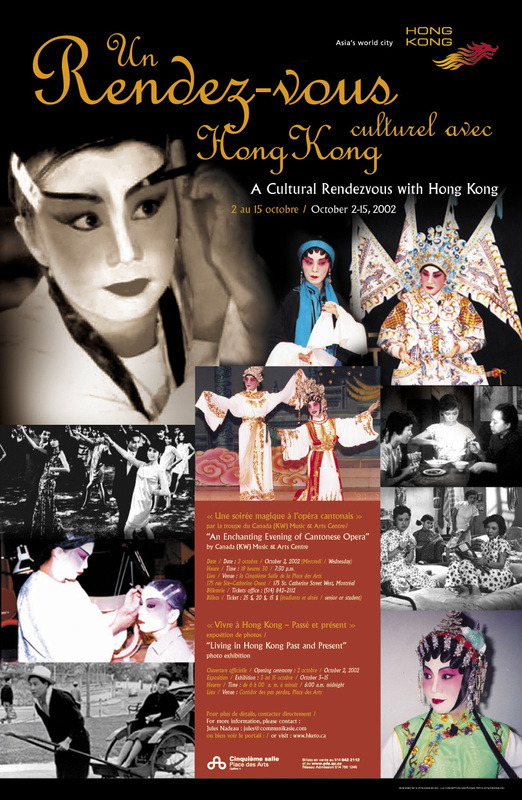 Cantonese opera is a performing art with a history of over a thousand years, originating from southern part of China and is very popular in China, Hong Kong and other parts of the world where there are concentrations of Chinese population. 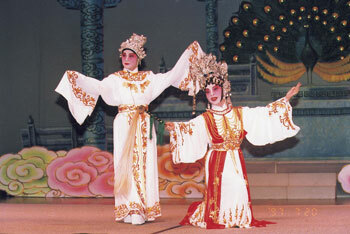 Watching Cantonese opera in a modern and intimate hall of only 400 seats will be an enthralling experience. Beside the colourful and shimmering costumes, dazzling headdress and ornaments, there are beauty and gracefulness in movements and gestures, poetic phrases and heart-rending melodious songs. Don't miss out this special performance rarely seen in Quebec on October 2, 2002. Box office will open on September 5th. Ticket prices are $25, $20 and $15 for senior or student. Just before this performance, in the main entrance hall of the Place des Arts, a photo exhibition showing the rapid transformation of Hong Kong during the last 50 years will be officially inaugurated. The historic photos, LIVING IN HONG KONG - PAST & PRESENT, highlighting the "can-do" spirit of the Hong Kong people will be on display to the general public until October 15th.